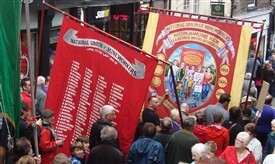 The Notts Area of the NUM was at the heart of Thatcher’s war against the miners – the Notts ‘Enemy Within’. As the result of her attacks and using all the powers of the state, Notts NUM and all its members were legally looted of all their assets. This is the 4th edition of the book and updates the story with further revelations about the secret war waged against the Miners.